The Bodyguard’s very own Queen of the Night has announced that she will be departing the hit show at the end of May to star in the long-rumoured West End transfer of Memphis. The four-time Tony Award-winning show will open at the Shaftesbury Theatre in October, taking over from The Pajama Game. Written by Joe DiPietro (I Love You, You’re Perfect, Now Change), Memphis is inspired by a white radio DJ who wants to play soul music during a time of segregation in Memphis, Tennessee. He collaborates with a talented young black girl named Felicia who is trying to break out of singing in underground bars. Knight will take the role of Felicia, a role which perfectly suits her powerful, soulful voice. Further cast is yet to be announced. 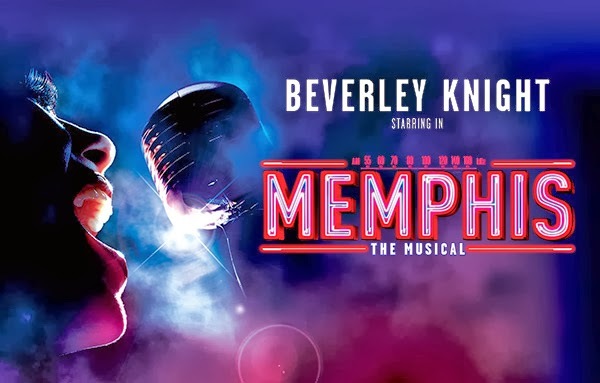 Memphis ran for three years on Broadway where it picked up four Tony Awards for Best Musical, Best Book, Best Original Music and Best Orchestration. It also scooped four Drama Desk Awards for Outstanding Musical, Outstanding Actress in a Musical, Outstanding Music and Outstanding Orchestration. The show will be Knight’s second musical theatre role, having taken over from Heather Headley in The Bodyguard in September 2013.